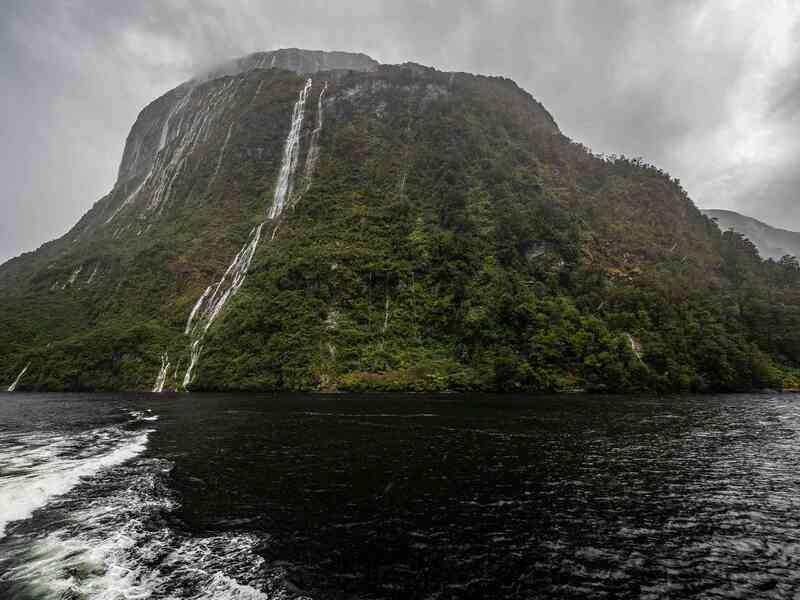 All Aboard the Tasman Sea Explorer, Go Orange's Doubtful Sound cruise! Today we got our first taste of New Zealand’s beautiful Fiordland region, and after a clear and stunning few days in Mount Cook, we also had our first taste of New Zealand’s fickle climate. 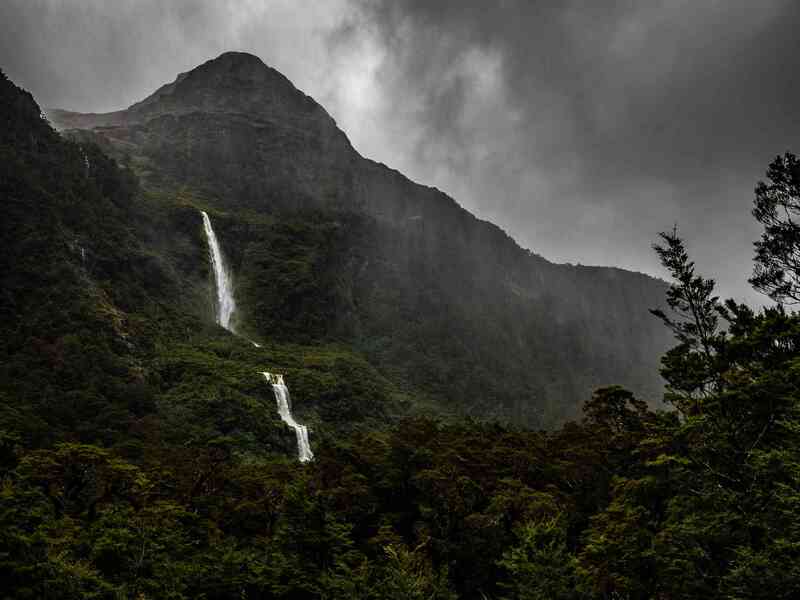 With the region’s average of 200 days of wet weather per year, and sometimes reaching upwards of 16 meters of annual rainfall, the skies opened up as we cruised through the unique landscape of Doubtful Sound with huge cliffs towering beside us. On the plus side, as the rain came pouring down, the incredible waterfalls showcased their absolute power, cascading hundreds of meters into the waters below. 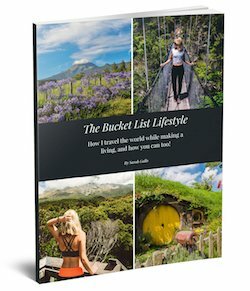 At any time of year, the salt water entering the Fiords via the Tasman Sea can be covered by up to 2 meters of freshwater due to the heavy rainfall, making it a breeding ground for some unique wildlife and ocean dwellers — think bottlenose dolphins, fur seals, and even the elusive Fiordland crested penguins! 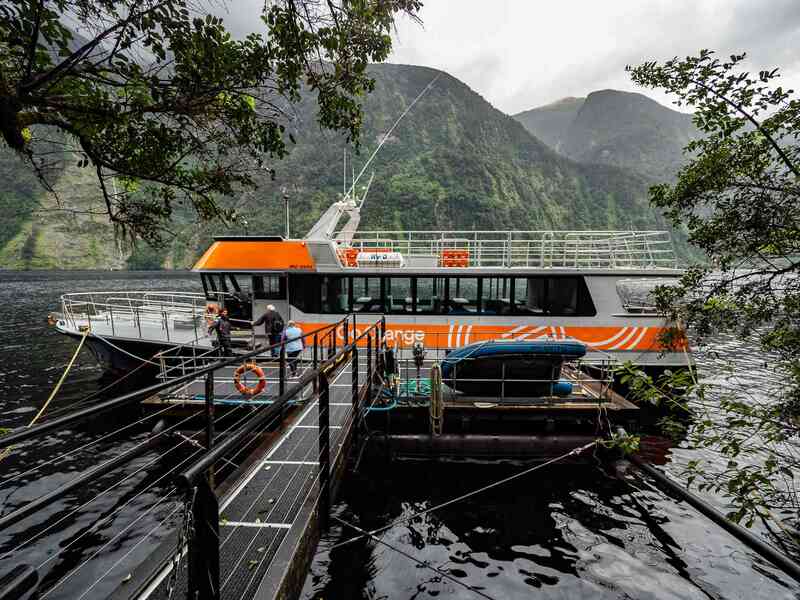 Unlike Milford Sound, Doubtful Sound is virtually untouched by tourists as it is not as easily accessible; Go Orange is one of the very few operators allowed to journey into Doubtful Sound. Take in the spectacular views around you – rain or shine! Spend your afternoon or evening reminiscing over the experience! While this may sound like a lot, Go Orange makes the process seamless. The cruise over Lake Manapouri and the ride across the Wilmot Pass are both absolutely beautiful too, so they make for the perfect introduction and closer to Doubtful Sound cruise. 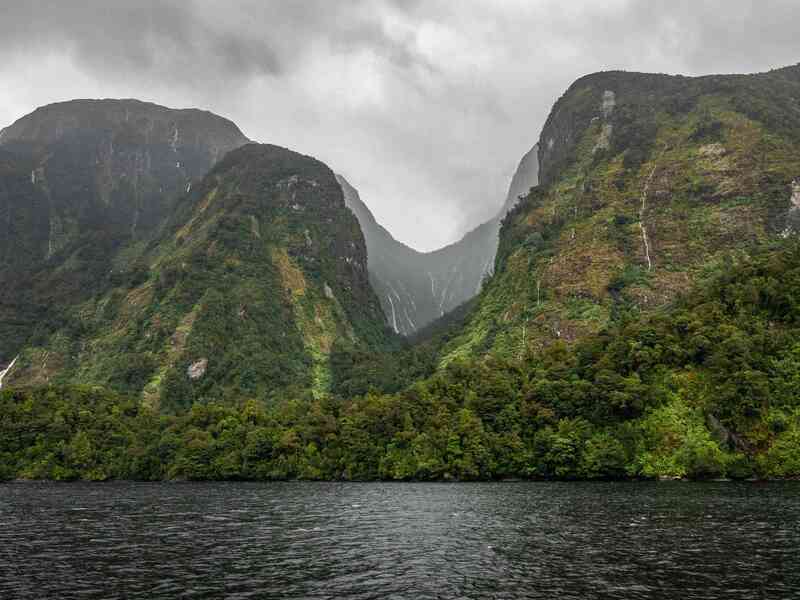 Doubtful Sound itself was as breathtaking as I imagined, even in the rain, and I’m grateful that we had the opportunity to visit this off-the-beaten-path gem with Go Orange! 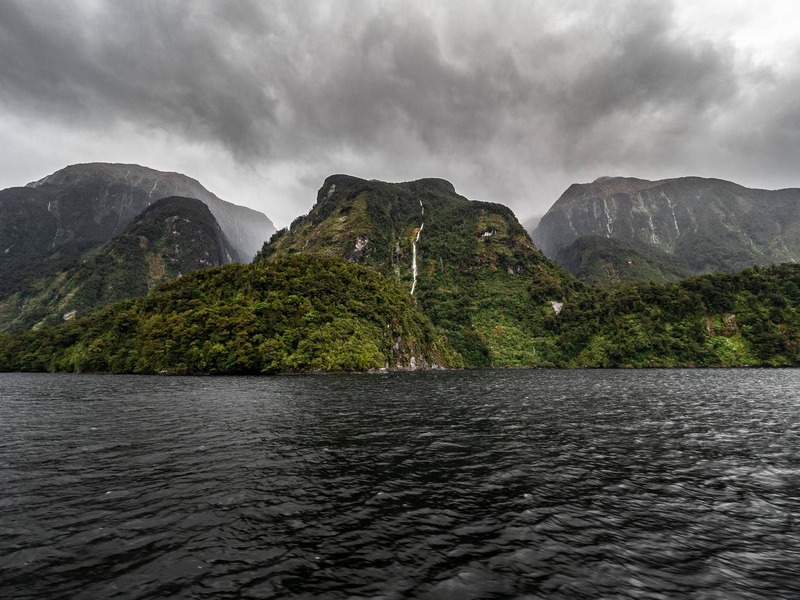 Next time you visit New Zealand, you can reserve your Doubtful Sound Cruise here. 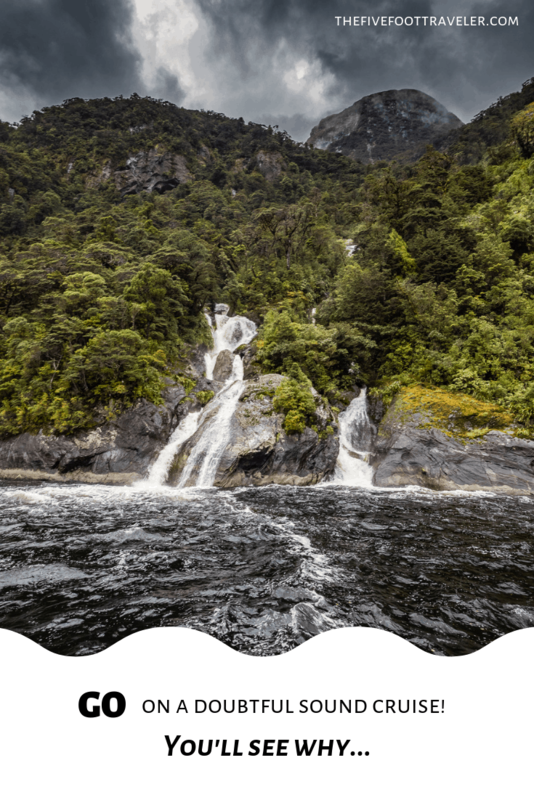 Interested in a Doubtful Sound Cruise?